From 2017 Human Remains and Violence will be a fully Open Access journal. In this short post, the journal’s editors discuss the move to Open Access and accompanying benefits. 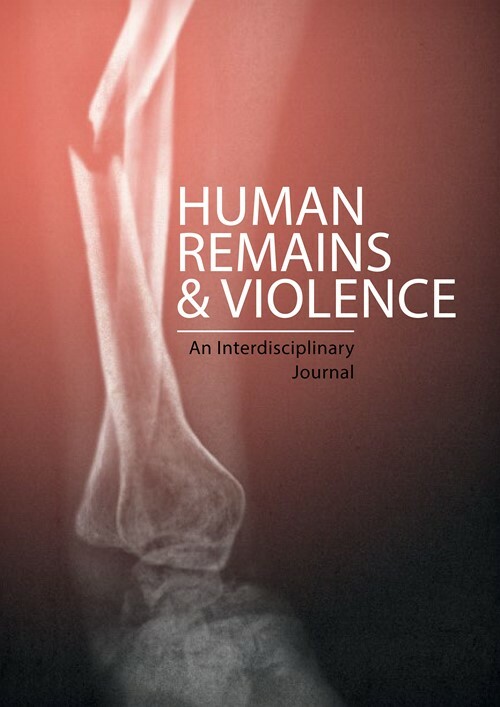 As Editors of Human Remains and Violence: An Interdisciplinary Journal, the willingness and encouragement of our publisher, Manchester University Press, to support us in our endeavour to become an Open Access journal came as fantastic news for several reasons. It is undeniable that our journal can indeed only benefit from such a step in terms of impact and readability. Highly specialised, yet interdisciplinary, our Journal has attracted expert authors and guest editors whose work will now be accessible worldwide for free. We very much hope that going Open Access will generate a virtuous circle in terms of broadening our readership and attracting more authors to contribute. As academics, we strongly believe in the free circulation of thoughts and ideas. This Journal is the outcome of a research programme which lasted for several years during which the overarching objective was to generate dialogue between academics and practitioners, with various expertise, working in the fields of human remains and mass violence all over the world. We launched this Journal with the aim of pursuing this dialogue through the publication of articles and we are delighted that this dialogue can now continue free of all obstacles for those interested in reading it and in contributing to it. Removing all financial constraints and bypassing any form of political or ideological censorship to allow a broad and free access to knowledge is therefore fully in line with the philosophy underpinning the creation of our journal. We hope that with this Open Access initiative, we can contribute to build an Academia without Borders and we are sincerely grateful to Manchester University Press for helping us in this crucial construction. Human Remains and Violence is a biannual, peer-reviewed publication which draws together the different strands of academic research on the dead body and the production of human remains en masse, whether in the context of mass violence, genocidal occurrences or environmental disasters. The journal is inherently interdisciplinary and publishes papers from a range of academic disciplines within the humanities, social sciences and natural sciences. It will be of interest for a wide array of academics, notably those working specifically in genocide studies, Holocaust studies, and mass fatalities management. Beyond academia, organisations such as Physicians without Borders, the HCRI (Manchester), the Holocaust Educational Foundation (Chicago), Yad Vashem, the International Commission on Missing Persons as well as Human Rights NGOs (Amnesty International, Human Rights Watch) will be interested to learn about the journal. The journal will be free for authors to submit and publish their work. This opportunity is initially made possible through support from the University of Manchester. Voluntary contributions from accepted authors to help the journal’s sustainability will be welcome.